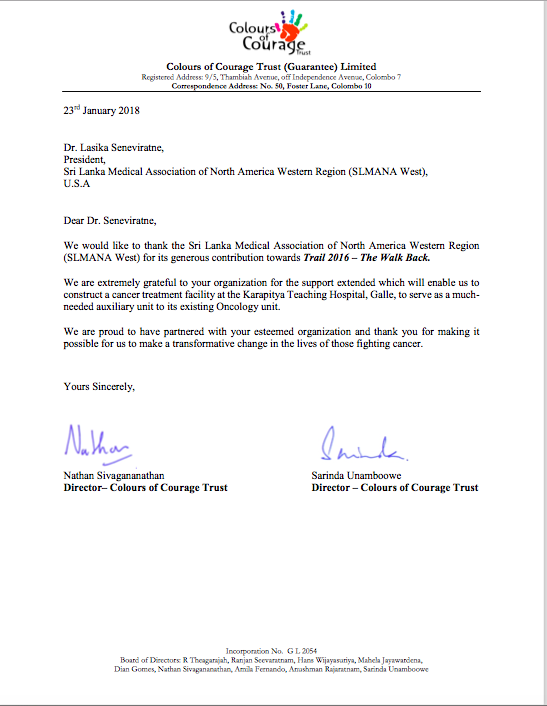 For over 15 years, the mission of SLMANA – North America has been to bring together professionals and students in the medical and healthcare professions who are of Sri Lankan origin or lineage living in the United States and Canada for charitable and humanitarian purposes. Presidents Bill Clinton and George Bush view plans for SLMANA Project. Below you will find three letters of recognition for various projects funded by SLMANA-West. The Leadership of SLMANA-West is comprised of physicians from many disciplines. Our new Board of Directors was elected in March 2018 and will serve for one calendar year. Please learn more about our esteemed Board and Committee Members here. 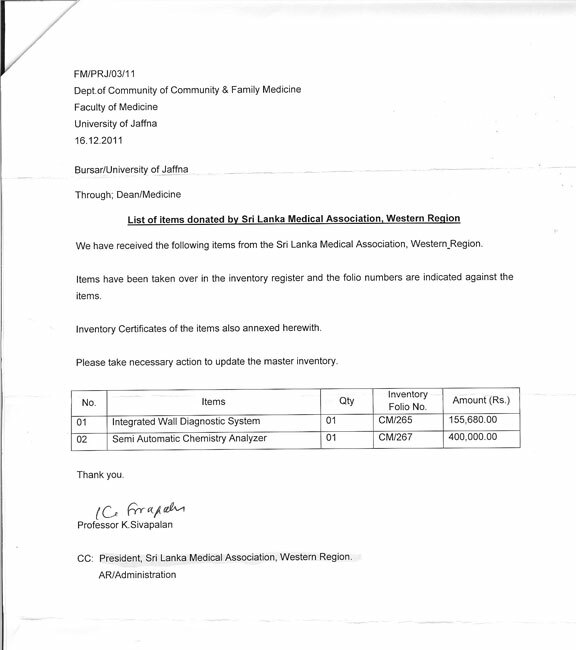 The Sri Lanka Medical Association North America–Western Region and the Lions International Club of Sri Lanka have joined forces to help underprivileged children in Sri Lanka to live cancer free lives. The Lions Club is launching the “HOPE FOR CHILDREN” project, which will procure the required medication, prosthetic limbs, and other necessary equipment. These will be purchased directly and distributed through the Medical Director in charge of the children’s unit at The National Cancer Institute of Maharagama Cancer Hospital. A community resource center at the National Council for Mental Health or NCMH also known as Sahanaya, a non-profit non-governmental organization, was established in 1982 and is a registered charity in Sri Lanka. Sahanaya is a unique and novel venture (and the first in Sri Lanka) and aims to increase much needed awareness of the prevalence, causes, stigma and effective treatment and care options available. The center will be an invaluable resource for the community at large to understand and appreciate mental illness better and also for patients with mental illness and their families.